It was a sick hoax almost derailed the hunt for the Yorkshire Ripper entirely as police were sent down the wrong path by a crank caller. In 1978, police received a cassette tape from a man claiming to be the killer. The man’s strong Wearside accent led to detectives focusing on the north-east in the hunt for the Ripper - a mistake that proved fatal. Dialect experts narrowed the search area down to the Castletown area of Sunderland. 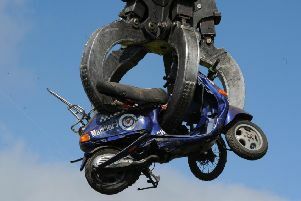 Letters and tapes had also been sent to the Daily Mirror, boasting of the crimes. One major red herring that fooled officers was that the writer claimed to have killed Joan Harrison in Preston - a murder which police mistakenly believed wasn’t public knowledge. DNA evidence in 2011 convicted another man, Christopher Smith, of Harrison’s murder after Sutcliffe had always denied involvement in her death. At the time of the investigation, Wearside Jack was never traced, and police only realised his calls were a hoax when Sutcliffe confessed to the murders in 1981. Some of the surviving Ripper victims claimed police ignored information they provided because it did not fit the supposed profile of the killer - including the belief that he was from the North East. Sutcliffe had always been a suspect and was interviewed nine times by police before he was caught, the first time being in November 1977 - when he had killed six of his 13 eventual victims. He was one of 5,000 men questioned because a £5 note found on the body of Jean Jordan in Manchester was traced to a batch issued by the Midland Bank in Shipley or Bingley in wage packets. Sutcliffe gave an alibi which was considered credible. The saga looked set to be a frustratingly unsolved mystery for decades until a breakthrough in 2005, when advances in DNA technology led to police re-opening the hoaxer case. DNA samples from the envelope the letters were sent in were entered into the national database until officers got a match - and it came from an unemployed alcoholic called John Humble, who lived on the Ford estate in Sunderland. His DNA had been taken when he was arrested for being drunk and disorderly in 2001. In March 2006, Humble pleaded guilty to four charges of perverting the course of justice at Leeds Crown Court. Under interview after his arrest in October 2005, Humble had told police: "I shouldn't have done it. "I know that - because it's evil. I do deserve to go to jail." Humble served his sentence in Armley prison in Leeds. Shortly after the then 50-year-old began his sentence, he reportedly received a letter from the real Yorkshire Ripper killer. 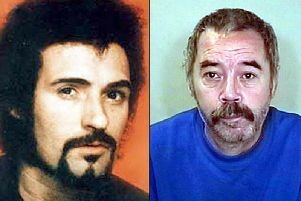 Sutcliffe wrote to his infamous impersonator telling him he "had blood on his hands" and blaming him for the deaths of his final three victims. We reported in 2009 how he was set to be released. In 2013 there were reports he had been attacked three times since leaving prison. His sister told the Echo that Humble's family had paid a heavy price for his crime, with windows smashed and relatives abused in the street. “Even after he got out of prison, he was beaten up three times," she said.